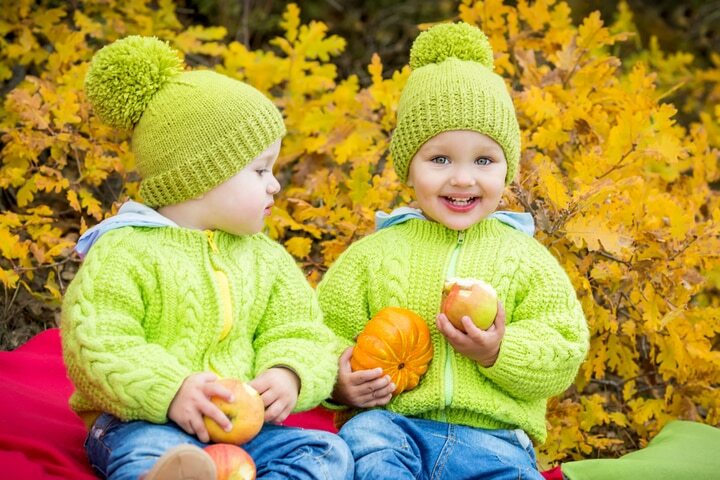 » Should Twins Also Wear Identical Clothes? Should you dress twins in identical clothes? What are your thoughts? Up to 18months we did but after that no. Although I still bought two of everything, they just wore them different days. Mine were dressed the same until they were 2, then they started wanting different colours in similar things. Now at 7, they rarely wear anything the same. They should be allowed to have their own individual tastes. I never discourage it. 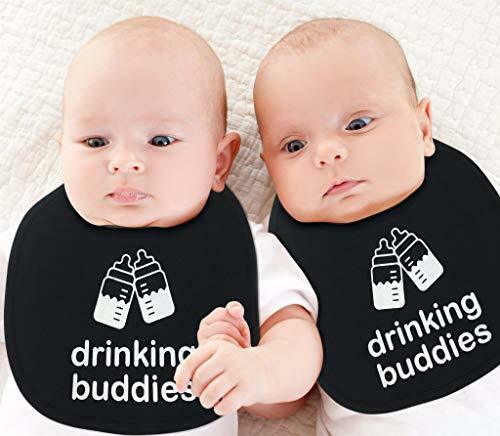 We did when our twins were babies but as soon as they started expressing opinions on what they wore, we followed their lead. They have quite different taste in clothes. They are 12 and we still buy in sets sometimes they aren’t coordinating but mostly they are. They pick their clothes for the day so it’s up to them now. My girls LOVE matching. ❤️ They do not always choose matching outfits, but they do more than not. They are eight. I dress my girls alike for outings but its a pain my 5 year olds have a voice and one of them does not like to dress the same lol but i still do it my choice oh well. We usually coordinate, but ppl always buy the girls identical outfits as gifts. So, they wear them. If I’m buying, I never buy identical outfits. I have twin girls. We rarely dressed them in identical clothes. Often we dressed them ‘alike’. Often the same outfit but in different colors. Our motto has always been ‘I am my own woman’! I love that they identify as a twin but have always encouraged their individuality also. Matched in the very early years, transitioned to same outfits in different colors up until they were about 4th grade and now they have their own styles as teens. Once in a while they find something they both like and don’t care that they’ll match. Honestly, matching when they were babies made daily outfit choices super easy on a busy mama! Never. They are both individuals and as such their dress sense will be different. My sister & I were dressed the same and I hated every minute of it. When they were little I did. But when they started voicing their opinions on how they wanted to dress, I let them dress how they wanted. When they’re babies/toddlers, sure. After that, I’d let them have a say. My girls are so very different in appearance that people are shocked to find out they’re twins, so they actually like dressing alike sometimes, even at 12. I did until they started wanting to choose their own clothes. They still dress alike on holidays. They are fraternal. Sometimes. My mom said my sister and I would fight if we got different stuff.  we still accidentally dress alike sometimes.. I liked coordinating outfits for babies. As they moved into preschool age they would fight if there was only one of an item. Now they are in junior high and like to dress similarly but not identically. Yes and no. I let them choose. I have some identical outfits and some the same but different colours or patterns. Sometimes they really enjoy being the same. I could give a crap. I just want them dressed and fed!! I didn’t when they were babies, I would dress them in matching outfits but not identical; then when they were 3 they would fight about wanting to wear what the other was wearing so Instarted doing sAme outfits up til they were 5 or 6 when they started picking what they wanted to buy/wear. I love matching my twins! But they have very different personalities Ms very different style preferences, even at 4. I still try to do it for special occasions though. My girls are 9 on the 30th and we rarely Dress alike, same kinda outfit, different colours or patterns.